The Southern African Institute of Steel Construction (SAISC) has called for entries for the AVENG Trident Steel Awards 2017 and CADEX Systems SA Photo Competition. SAISC CEO Paolo Trinchero says that after the high standard of the 2016 Awards there has been extraordinary expectation throughout the steel construction industry in relation to this year’s Awards. 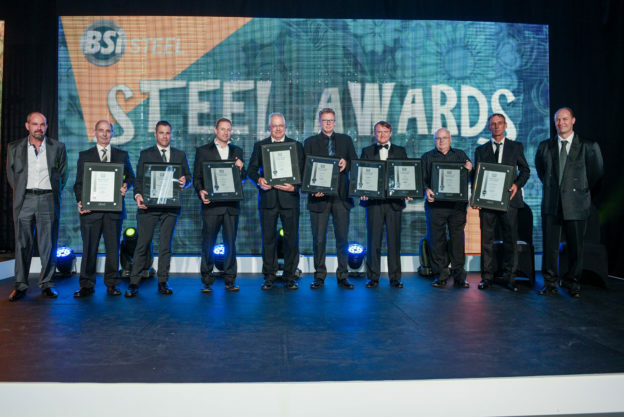 The Awards have already secured respected industry stalwarts as sponsors including AVENG Trident Steel (Main Sponsor), Macsteel (Popular Vote Sponsor), and CADEX Systems SA (Photo Competition Sponsor). Although the judges decide on the categories and winners based on the actual entries received, the following awards and categories are confirmed, and have been made possible thanks to this year’s sponsors: the AVENG Trident Steel Awards 2017 Overall Winner, The ASTPM Tubular Category, the MiTek Light Steel Framing Category, the Global Roofing Solutions Metal Cladding Category, the Safintra Factory and Warehouse Category and a new category – the SAFAL Innovation Category. NJR Steel and BSi Steel have also been confirmed at partner sponsors for this year’s awards. There are several factors that are considered when judging. These include: the importance of steel as a structural component of the project, benefits achieved by using steel construction, aesthetic appeal, environmental/ sustainability consideration, innovation in design, fabrication or construction, technical prowess required for realising the project, engineering expertise, exceptional quality of workmanship, tubular content, cladding: workmanship, innovation, special solutions, size, speed, architectural finish etc. and more. The best photograph of an entered project also wins an award and effort is made to give all entered projects some publicity in the lead up to the event, and beyond. Entries close on Friday 31st of March 2017. The Steel Awards entry form is available for download here, and the booklet explaining the entry process is available here.